You will need to arrange to have a hazard insurance policy in place at the time of closing. If you are financing your home, you will be asked to provide us with a binder and proof of payment for the first year’s premium (unless you are paying this on the HUD/CD at the time of closing). Please refer to your lender’s loan commitment letter for the mortgagee clause, as that must be included on the binder. Your lender will also provide you with the amount of coverage that is required (which is typically the amount of your mortgage(s) on the property or it must contain a provision for 100% of the replacement cost of all insurable buildings and other improvements). If you are purchasing a condominium unit, we will require a Certificate of Insurance from the insurance carrier for the Condominium Association that contains your lender’s mortgagee clause, names you and the association as insured parties, and identifies the unit you are purchasing. You will also want to speak to an insurance agent to obtain a “wall’s in” policy to cover what the Master Policy does not (please see your Lender’s Commitment Letter for more specific coverage needs). Flood insurance is a mandatory requirement of the lender if the premises is located within a designated Federal flood hazard area. If applicable, you will be required to provide a flood insurance policy together with proof that the first year’s premium has been paid prior to closing (unless being paid on the HUD/CD at the time of closing). Please remember that you must bring a valid driver’s license or passport with you to the closing for proper identification. The closing cannot take place if you do not have this identification with you. A thorough title examination is an essential part of the settlement process. Once our search is complete, we will provide your lender with a commitment to issue a title insurance policy. However, should we uncover any title deficiencies or defects as the result of our title search, these will be listed as exceptions on the commitment. We then will work closely and diligently with the necessary parties to resolve the issue(s) in the most expeditious manner so as not to delay the closing. Lenders require a title insurance policy in the amount of the loan because they know that even the best title search and examination cannot protect them from matters not appearing in the public record. Although you are not required to*, we do recommend that you also purchase an Owner’s Title Insurance Policy to insure your own interests. Should you have questions about, or if you would like more information regarding, title insurance give us a call and we will be happy to help. The State of New Hampshire’s transfer tax (or tax stamps) on residential real estate transactions is $15.00 per thousand dollars of the selling price of the property. This fee is paid at closing and is customarily divided evenly between the buyer and seller. The State of Maine’s transfer tax (or tax stamps) on residential real estate transactions is $4.40 per thousand dollars of the selling price of the property. This fee is paid at closing and is customarily divided evenly between the buyer and seller. The Commonwealth of Massachusetts’s transfer tax (or tax stamps) on residential real estate transactions is $4.56 per thousand dollars of the selling price of the property. This fee is paid at closing and is customarily paid in full by the seller. Proration of fuel, water and sewer bills is the responsibility of the buyers and sellers. Arrangements should also be coordinated for the transfer of telephone, cable and electricity services. 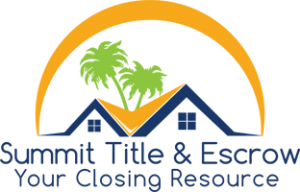 *Summit Title does require the purchase of an Owner’s title insurance policy in connection with cash transactions.